Classic full-fat spinach dip got skinny by using low-fat ingredients and getting most of it’s flavor from Parmigiano Reggiano. I love using crudites as low-carb dippers such as raw broccoli, celery or carrots, but I usually serve this with reduced-fat crackers or baked chips for my guests. A typical serving size for a dip is usually about 2 tablespoons depending how many appetizers are being served, but I calculated this based on a larger portion. Can be made one day in advance and stored in the refrigerator. I like using greek yogurt for half the mayo and half the sour cream. Yum! Huge hit at Super Bowl party!! Thanks so much for this recipe! Made this for a X-mad party in PR!!!! Switched the spinach for frozen kale and it was amazing!!!!!!!! This is the most addicting dip! I have made it a bunch of times and it always goes fast. Love it and thank you!! I made this yesterday and it came out even better t, it the next day, itwas really delicious! Thank you for this recipe. I will try this with greek yogurt next time. ???? This was excellent and easy — I think the green onions gave it punch; I imagine chopped water chestnuts would also be good. While I did not invent this trick, I am happy to pass it along (I think I read it in Cooks Illustrated): A simple method to squeeze thawed spinach is to spoon it into a potato ricer hopper — then squeeze. The resulting spinach disk is nearly moisture free so it complements, rather than waters down, the dip. Gina, I feel like I have hit the mother load now that I have found your website. I needed something to motivate me to gain control with weight watchers and to cook. Please keep up the good work. I will be your fan for life and buy any book you could make!!!! I used greek yogurt instead of sour cream, and garlic chives fresh from my garden in place of the scallions. It turned out awesome! And soo easy! Thank you! 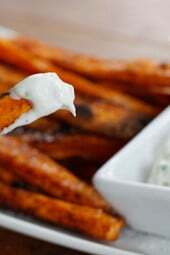 Use plain greek yogurt instead of the sour cream.. cuts the carbs and adds protein.. same taste! Wow thank you! I tried it and decided that it's delicious! It is so good my grandkids go crazy for it. Ok so I made this for my boys and the neighbors on Football Sunday and everyone loooooved it! All the flavors and textures were right on point! Gina you are a wonder for certain! To know if something is gluten-free, look for ingredients like wheat (or white, or all-purpose) flour or malt. So, yes, this is gluten-free. Just be careful to keep your tools and work surface free from contaminants. I love this dip. I serve mine with veggies for an even lighter snack at gatherings. Is this recipe gluten free? I am looking for a good dip recipe for Thanksgiving and I have a friend, who iit is for, that has a gluten allergy. I love your recipes! I just joined WW and this helps me keep on track. Perfect timing for this as we have a tailgate party tonight! THANK YOU! Just made this. I used Romano cheese and added a bit of garlic powder. It is super yummy! You can't even tell that it's a healthier version! As always, I'm never disappointed with your recipes! I made this over the weekend for a party, and I thought it went over well. 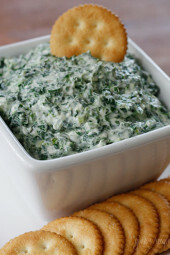 I really liked it, and preferred it to other spinach dip recipes I have made in the past using ranch seasoning and other ingredients that usually gave it a weird taste. I am making this again for the 4th of July for my BF's family, and I think it'll be a hit. I paired it with Tastefully Simple's beer bread. There is a chobani yogurt conversion chart that says it can sub as mayo( and many other things). My children are also allergic , so I run in to this a lot. Check out their web site. This sounds so good. I make a similar dish with spinach, chicken, sour cream, mayo, parmesan, zucchini, and a little nutmeg. Mix it all and back. A low carb casserole. I will have to try this dip. This was a fabulous dip! I made it for our Bunco group, and it's the first time I didn't come home with leftovers! 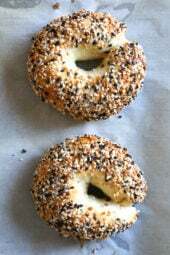 I served it with Wheat Thins because I had them on hand, but they would be great with veggies too. Thanks for all of your delicious, healthy recipes! Can you substitute the Parmigiano Reggiano with reduced fat grated parmesan, or would that compromise the taste? I just made this as part of dinner tonight and it was fantastic! The only thing I did different was use 1/4 cup onion (I didn't have scallions) and I added 2 cloves of garlic! Mmmmm. I want to make this for our ladies' bingo night this week. For the scallion, do you chop up both white and green or just the white part? Thanks! I made this tonight to take to a pool party tomorrow. I LOVE spinach dip and was sooo excited at how it turned out. I've actually never made anything like it and it was so easy. I love recipes like this when you just throw everything together in a bowl and mix. 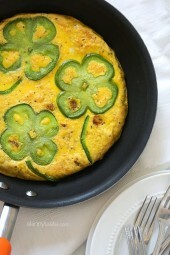 I think the green onions gives it an extra "something". DELICIOUS recipe. Why isn't parmesan cheese vegetarian? I mean, I know it's not vegan…but how does cheese have meat in it? Just curious. I wonder what this would be like with come added artichokes? Yum! Please don't post this as vegetarian, Parmesan cheese is not!!! As a veggie myself I would just substitute for another cheese but it would be embarrassing if someone served this to a veggie guest. Just whipped this up – used 4 tbsp of light mayo (1 less) and greek yogurt for the light sour cream. Fresh grated Romano 1/4 cup. A sprinkle of garlic powder, no scallions none on hand. This is fantastic – the cheese totally makes it! Thanks for another great one Gina! Meg, thanks for sharing your tip for those who don't like onions. Lynda, you can use any grated cheese, Romano would work too. I understand about the price of the cheese! I buy Pecorino Romano often! I wish the Parmigiano Reggiano wasn't so expensive! 🙁 It's so hard to eat healthy as a college student on a Koolaid budget. But, I HAVE to make this one day! I made this over the weekend with a huge veggie tray instead of french onion dip. 4 people were on WW and everyone loved it. My own tip is to chop the onions really finely or reduce the amount of onion to start and stir in more as needed. I only put in about half and it was perfect considering a few people at the event do not like onions. I just made this for superbowl last week and it was a hit, no one even knew it was low-fat!! I'm sure fresh baby spinach would be amazing. Yes Lisa, you can find it in the gourmet cheese section of your supermarket. Pecorino romano would be great too. Paisley- I LOVE adding Knorr vegetable soup to my spinach dip when I have it! Not sure that it affects the points at all, but I mix in a packet of Knorr vegetable soup mix for extra flavor and people go nuts! Thanks again for the recipe. I made it today and it was absolutely fantastic. I included a bit of roasted garlic, some red pepper flakes, and a little Worcestershire sauce, but otherwise stuck close to the recipe. The results were pretty fantastic and well worth making. Thanks for the great recipe Gina. I thoroughly enjoyed this and am so happy you shared it with us. Can you find the Parmigiano Reggiano in a regular grocery store? If not is regular parmesan cheese an acceptable substitution? Can't wait to try it! BTW—just found this website and am loving it! Sounds great. And almost like my moms growing up. Except try adding water chessnuts it adds a fun crunch! A woman at WW shared that instead of draining and squeezing frozen spinach, she chops up fresh baby spinach and likes it much better. Well, this answered my question. Happy to see I can use fresh spinach. Christine, I just posted a hot spinach dip, I would use that recipe instead!! Oh …just wondering if you could heat this and make a hot dip …like the hot artichoke dip at restaurants? This looks fabulous! I will be trying it very soon. I love your website. Great recipes …the pork chops with mushrooms and scallions was 'to die for' …YUM!!! These kinds of dips just remind me of the holidays! This was wonderful! My husband loved it, too. I'm so excited to try the hot dip you posted today. Thanks again! You're amazing! I make my cold spinach dip with either greek yogurt or i just take regular nonfat yogurt and strain out the excess liquid. It tastes slightly different, but everyone always likes it and I love knowing i can induldge in more than a tablespoon or two. Oh, perfect! I will be bringing this to a Christmas party. Thank you! This is great for the holidays. I was looking for a quick simple dish to bring to the in-laws. Thank you. Michelle, I use greek yogurt all the time, if I think it would work in a recipe without changing the flavor too much. Let me know how it comes out. Marianne, yes you've been in the back of my head! I have a hot version posting tomorrow! I posted a comment back when you blogged a spinach side dish, and you said you would come up with a spinach dip. Thank you SO much- I can't wait to try this! Yum! 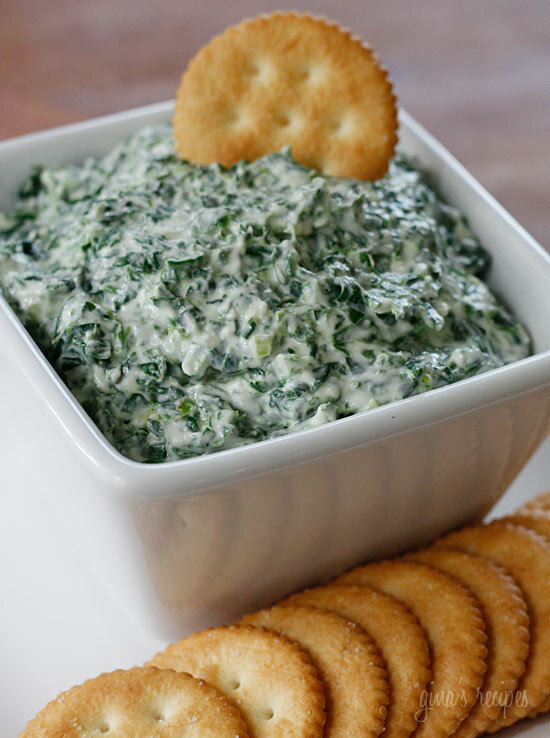 My daughter and I love Spinach dip, so this one will definitely get made…soon. With the new Points Plus, have you considered substituting plain non-fat Greek yogurt and its high protein value for the sour cream? I think I'll make this Christmas Eve and try the yogurt. Looks yummy and healthy! Thanks for all your hard work Gina. Sounds awesome! I'll be giving this one a try tonight. I just got super excited to try this tonight! I've been a big fan of all your recipes for a while. Everybody always goes crazy when I make your southwestern black bean salad. I'm sure this one will be a hit too! Wow. this look delicious. I have to try it, Thank you thank you. 1/4 cup for only two points. Holy momma I now want to try this! This would be great with some baby carrots as a weekday snack. The only change I might make might be to include a bit of garlic because I love, love, love it! This looks excellent! Should it be heated in anyway so that the cheese melts? SO simple and really light! I'm shocked how light this is. It would be delicious as the cheese sauce in a lasagna, mmmm.